Commercial Plastics Recycling, Inc. | Recycle Florida Today, Inc.
http://belltower.mtaloy.edu/campus/best-essays-online/7/ We buy, process, and sell all types of resins such as ABS, Acrylic, LDPE, HDPE, Nylon, PET, PC, PP, PS, and PVC in different forms including regrind, purge, trimmings and offcuts, pipe, films, and various other forms of scrap plastic materials. go to link Our capabilities include shredding, grinding with metal separation and air aspiration, screen classifying, rail car unloading, baling, and other services such as our in-house laboratories which provides valuable information and the highest level of quality control. http://tomrush.com/who-can-write-my-thesis/ We have extensive experience in assisting both small and large corporations with their recycling programs. Our mission statement follows business principles which enable profitability and growth for our customers, the plastics recycling industry and CPR. CPR follows some very basic principles that are found in our company mission statement. The back bone of the business is our relationship with many international resin producers, such as Sabic/GE Plastics, Dupont, Chevron Phillips, Toyota Motors, and many others in the plastics industry. critical essay topics Our on-site laboratories provide valuable information such as melt index, intrinsic viscosity, density,and durometer. We also use multiple levels of visual inspection for quality control. 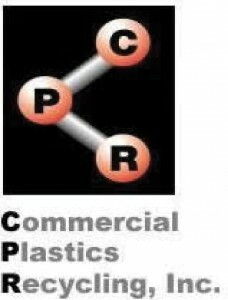 CPR is a member of the Society of Plastics Engineers of Florida, the Association of Post Consumer Plastics Recyclers, and the Polymer Alliance Zone of West Virginia. These memberships help us network throughout the nation and provice insight into the future of plastics worldwide.